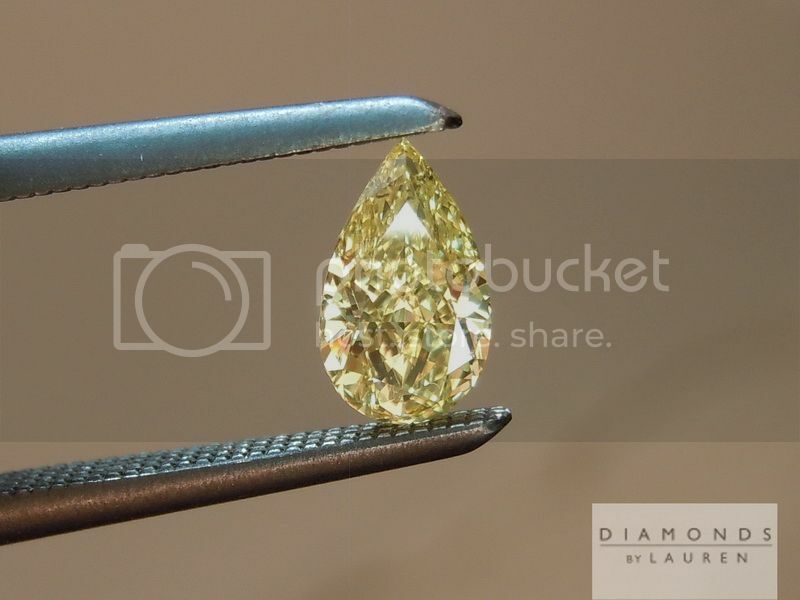 A lot of the companies selling diamonds on the Internet are ostensibly far larger than we are. However, we can compete handily. The reason is the nature of our business. When I started this business, it was not with pictures of diamonds, it was with real diamonds. To be able to sell diamonds and jewelry to stores, I had to have the diamonds in my hands. To be successful, I needed to have a knack for picking the right diamonds so that people that owned jewelry stores would buy them when I showed them to these people firsthand. 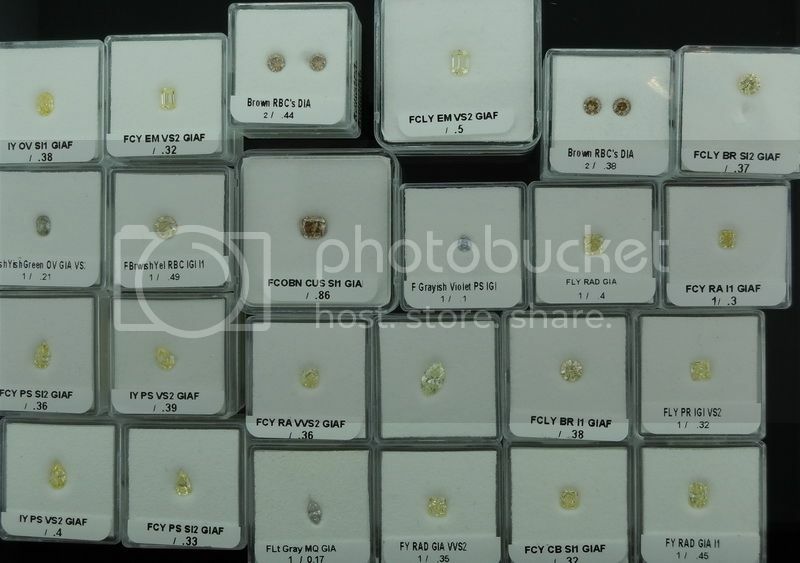 I have always loved all different colors of diamonds – from D color, all the way up to fancy vivid yellow. I opened the company in 1998. As soon as I opened the company some large cutters trusted me and gave me diamonds to sell. In 1999, I opened our website, and I started to buy diamonds before I sold them. Diamonds of all colors. 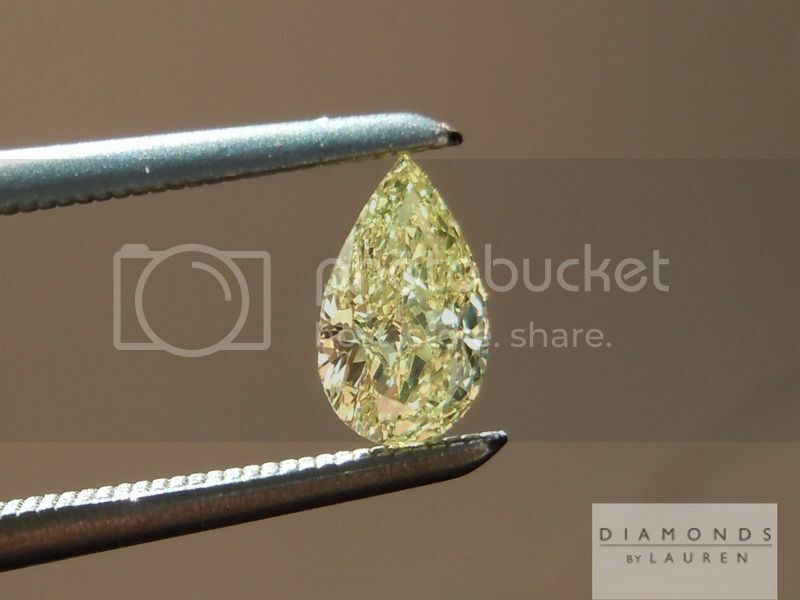 Nowadays, we maintain a substantial collection of fancy colored and colorless diamonds both loose and set into jewelry. As opposed to companies that are set up to sell diamonds off a list, we are set up to sell the diamonds we own. The other day when we were at the office of one of our large suppliers, he started pulling out the stones in until he had nine stones. Most of the stone had GIA reports, but a few of them had IGI reports. Each of us took out our iPhones, and wrote down the number that we thought the diamonds were words on a per carat basis - as a lot. This was like a cool poker game! In fact, his number was $100 lower than my number. All the diamonds here are desirable, although some are much less costly than others. You can look at each and every one and decide for yourself. I have always loved pear shaped diamonds, and this one has the type of shape that made me love them. In this case, it is a little taller, rather than fatter. 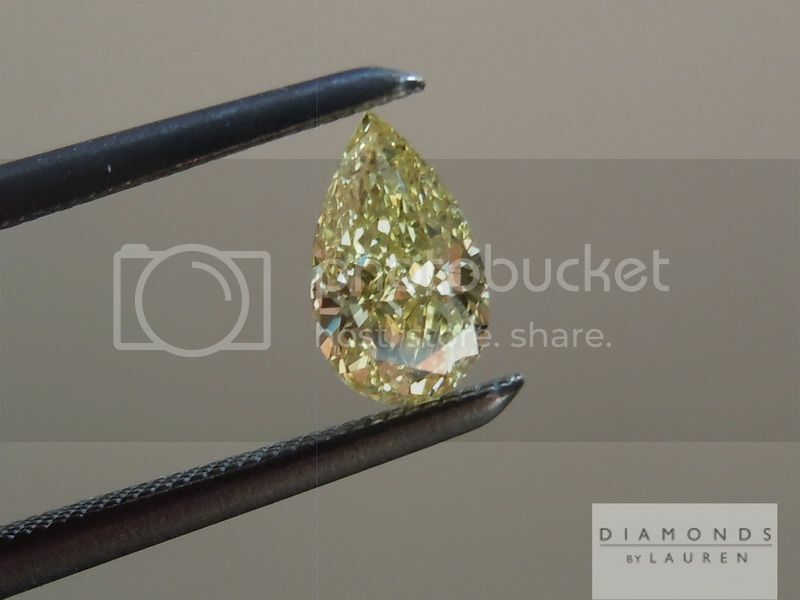 The great thing about many fancy colored diamonds in pear shaped, including this one, is that it is a total sparkle type of cut. So you really don't get a "bowtie effect." 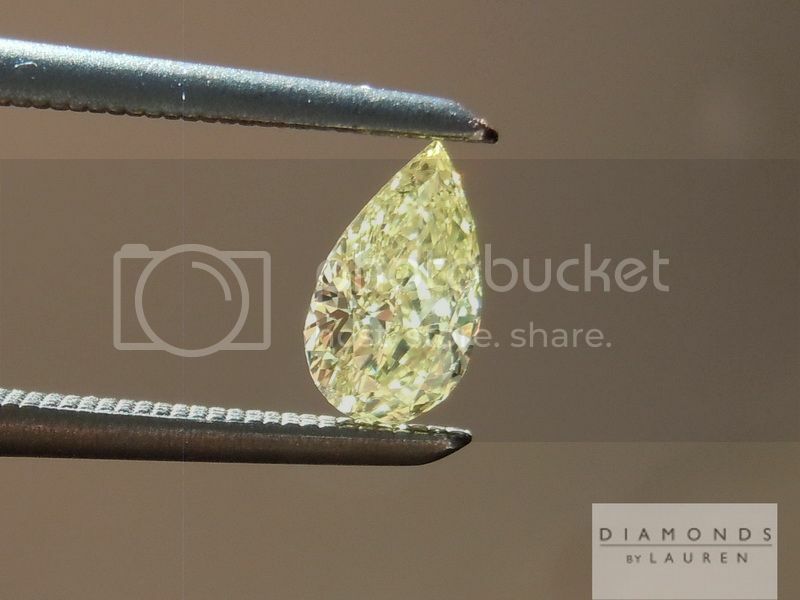 GIA graded this diamond fancy yellow color, and the color is a very strong and beautiful pure lemon yellow. 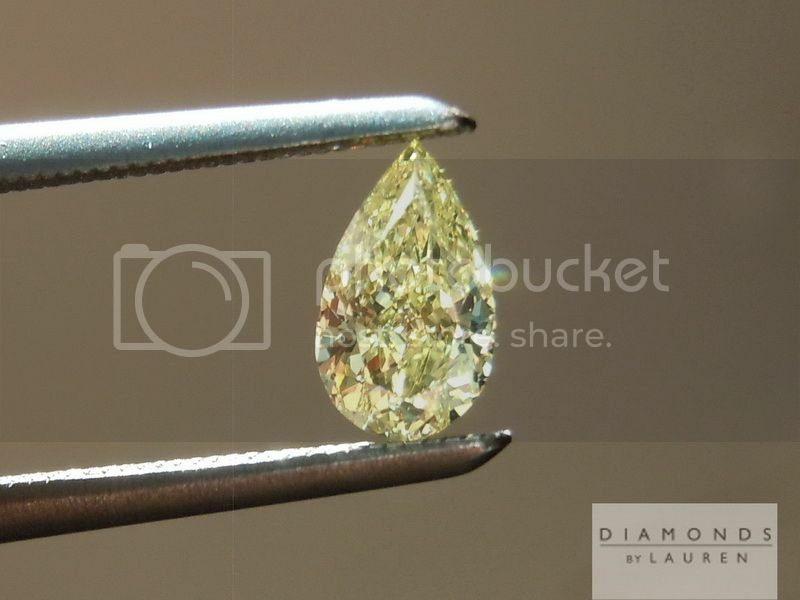 In this case, it's an SI2 clarity diamond with a little black spot down near the tip. I can see it a little bit and wanted to show it in the photos. In real life, I can't see it at all. However if someone is extremely clarity sensitive, this is not the diamond for them. 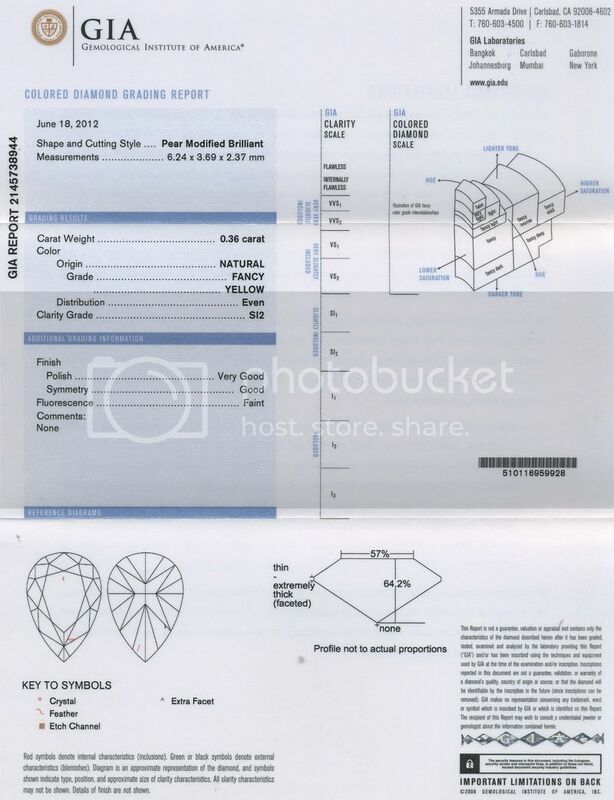 It is a very well-priced diamond.